If you have the chance to check out the Detroit Auto Show this year, you’ll be witnessing a pivotal moment in history. 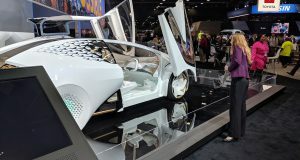 The Detroit Auto Show was, for decades, like the State of the Union for the auto industry; the event was a kickoff for the year, and it was a chance for leaders to paint a roadmap for the future of their company. 2019 marks the end of that era, and the start of a new one. 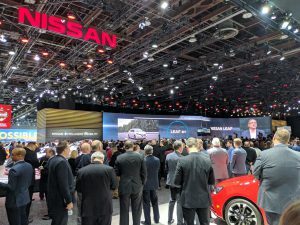 In 2020, the North American International Auto Show in Detroit is being re-imagined: the next show will be less focused on vehicle model reveals than about showcasing technology and creative designs, and it will be scheduled in the Summer instead of the middle of Winter, allowing for an auto show that can be outdoors, hands-on for visitors, and a celebration of the resurgence of downtown Detroit. 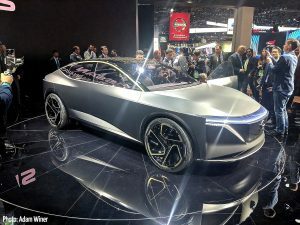 As an event in transition, this year’s Detroit Auto Show offers a unique opportunity to see both the best of what’s available to buy in 2019 and a look at the coming future of the auto industry. Right now the Cobo Convention Center in Detroit is filled with new vehicles — especially crossovers and SUVs — that are about to hit showrooms across the country. At the same time, many of those automakers are announcing that many of those same crossovers and SUVs will soon be powered by electricity. This decision to electrify vehicle fleets is an acknowledgement by automakers of the need to create reliable vehicles with reduced emissions. Electric vehicles (EV) emit significantly less pollution than gasoline-powered vehicles, and they are also much cheaper to operate and maintain, which is part of the reason Consumer Reports is encouraging carmakers to offer more and better EV options for consumers. Sales of electric vehicles in the U.S. hit record highs in 2018, up more than 80% since just the year before, but the types of models available is still limited. One of the stand-out unveilings at the Detroit Auto Show came from Nissan. Consumer Reports was there as the Japanese automaker, which recently announced a longer-range all-electric Nissan LEAF e+, showed off a concept it is calling, for now, Intelligent Mobility, or IM. The undeniably sleek-looking sedan is an all-electric luxury vehicle powered by both front and rear electric motors. Nissan’s luxury brand, Infiniti, had their own roll-out at the Detroit Auto Show of what they’re calling a “Japanese hospitality-inspired” all-electric SUV. The Infiniti QX Inspiration made headlines for being unable to drive out on to the stage. 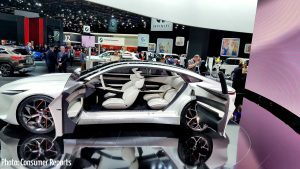 Hiccup aside, the reveals from Nissan and Infiniti show that automakers aren’t just imagining an all-electric future, but an autonomous one, where the automobile turns into kind of a roving living room space. But behind the high-end aesthetic touches are some pragmatic takeaways: quiet all-electric engines that rarely need maintenance, and will get more environmentally friendly as our electric grid becomes cleaner and more efficient. The North American International Auto Show kicked off with a big announcement from General Motors: their famous Cadillac brand would become an electric line, starting with an all-electric SUV. That means Cadillac is joining the ranks of luxury brands like Jaguar, Audi, Mercedes, and BMW planning to compete with Tesla in the high-end electric vehicle (EV) market. Announcements followed from Volkswagen and Ford. 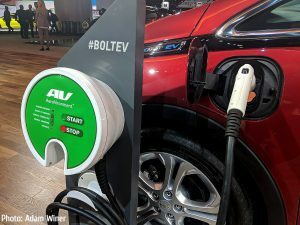 VW announced at the Detroit Auto Show that they will be building an electric vehicle at their plant in Tennessee, an estimated $800 million investment. Ford Motor Company also announced a plan to electrify many of their vehicles, including a “Mustang-inspired” SUV, as well as promising to, one day, electrify their popular pickup truck, the F-150. 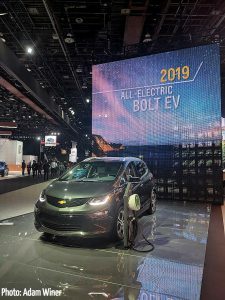 All-electric vehicles at the Detroit Auto Show aren’t limited to futuristic ‘concept cars.’ Also on display is GM’s Chevy Bolt, an all-electric battery plug-in hatchback that provides good range and good comforts, and is one of the few EVs that can be purchased for less than $35,000. Also on display is a new competitor for Bolt: Hyundai’s Kona EV (pictured right), a subcompact all-electric SUV that is similarly priced to the Bolt and the LEAF e+. 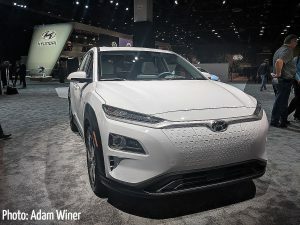 The Kona EV is also promising good specs, including a battery-powered range of about 250 miles, and 200 horsepower, which would be better than most subcompact SUVs on the market, including the Toyota C-HR, the Mazda CX-3, and the traditional Kona model. The Kona EV is set to go on sale sometime in 2019. Click here to see more Consumer Reports coverage of the Detroit Auto Show.